This always makes me think of TS Eliot’s words: “The whole earth is our hospital /endowed by the ruined millionaire . . . ” These are from East Coker section IV, a modern metaphysical poem about our disease and how we are treated in God’s hospital where Jesus is “the wounded surgeon”. 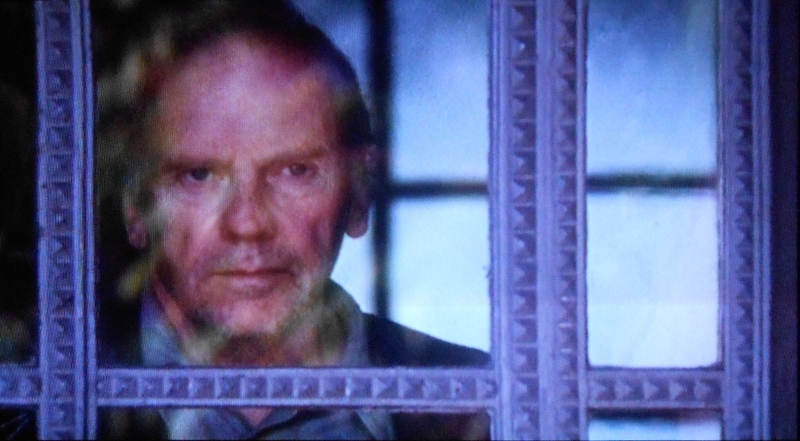 Here’s a picture of Jean-Louis Trintignant as the retired judge in Three Colours: Red who wants to play God. He has to watch the world through a glass.